"The Hudson pant is the piece of clothing that you will wear all of the time. It is comfortable enough to wear around the house, but can easily be dressed up to go run errands. 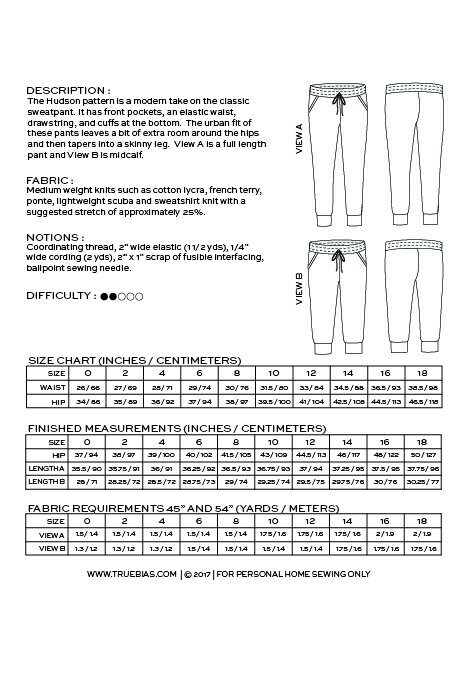 The urban fit of these pants leaves a bit of extra room around the hips and then tapers into a skinny leg. 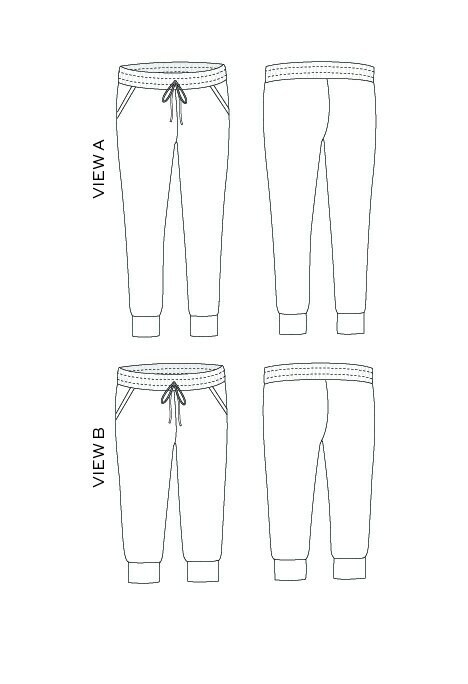 View A is a full length pant and View B is midcalf."